Chalk and Rumpo talk The Division and Destiny, plus much more. In the first episode of Push to Talk, Chalk and Rumpo discuss some of the biggest topics surrounding video games over the past week, focusing on The Division, cross platform play, and video games that are being made into movies. It’s a fairly relaxed debut episode, all the way up until the point where Scanner’s Rant cranks things up a notch. Chalk and Rumpo weigh in on The Division, pitting it against Bungie’s 2014 smash hit, Destiny. They compare the respective launches for each title, and question whether The Division has the end game content required to rival the success of Bungie’s 2014 smash hit, Destiny. As two gamers who value their PvE experiences more than PvP, it’s an important discussion about The Division’s longevity. Microsoft’s big announcement last week was that they would be going forward with cross platform play between the Xbox One and Windows 10, with an open invitation for other platforms (ahem… Sony PS4) to join in. Chalk and Rumpo consider the benefits to gamers on all platforms, and question whether this is Microsoft trying to win a few small battles in a war they’ve already lost. As Push to Talk evolves, there may be an opportunity to start doing giveaways based on the over/under line for the amount of F-bombs that Scanner uses in his rants. We’ll keep you posted regarding the back-end discussions on the topic. In all seriousness though, Scanner tackles a subject that most level-headed Internet goers have all wanted to vent about at one point or another. In his debut rant, he discusses game reviews, giving strong opinions about how readers react to them, and how we should feel about other players who may not share the same views as us. If you’ve ever spent time in the comment section of just about anything related to video games and been slightly disgusted, this segment is a can’t miss. As we close out our first episode, we talk about video games that are made into movies, and how for the most part they completely fail to do their inspiration justice. Chalk and Rumpo talk about the games they want to see made into movies, and even dive into a few Twitter comments that our already growing listener base was kind enough to submit. Read a few of the best ones below. @pushtotalkfm @bfpodcast you forgot Angry Birds, which I guarantee outperforms all of those movies combined. @pushtotalkfm @ChalkOne I hope they don't ruin Portal, it's one of my favourite games…and my next tattoo idea! Going forward, Hashtag Push to Talk will evolve into Chalk and Rumpo answering your questions, rather than us just asking you something that’s on our mind. This segment succeeds or fails based on you and your level of interaction with us. 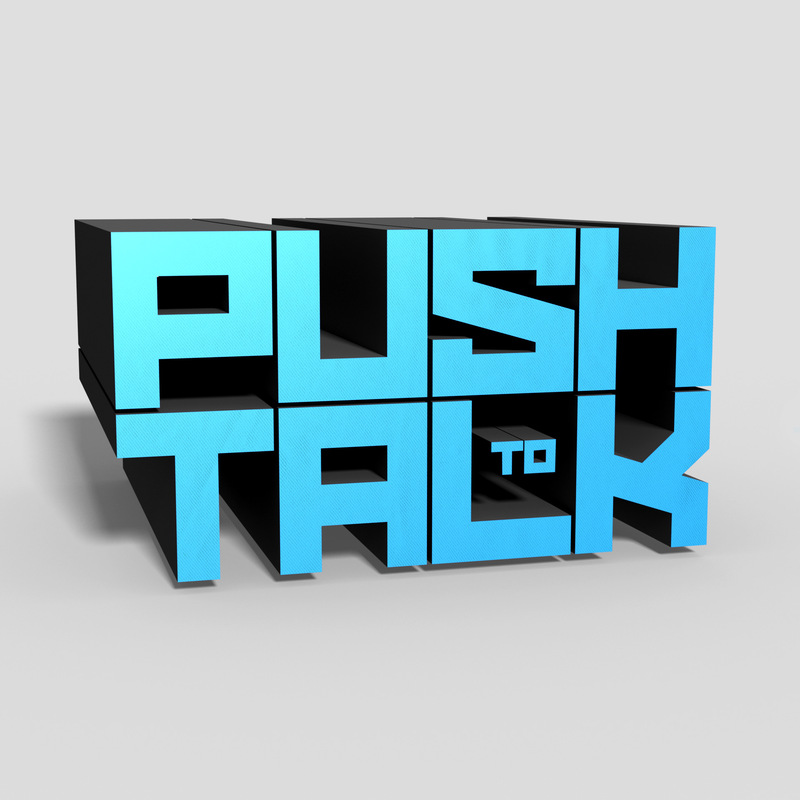 If you’ve enjoyed the podcast, please submit a question for us to discuss through Twitter using #PushToTalk, or even by mentioning us. You can also submit your questions via the Push to Talk Facebook page, or through the Contact option on our website. Thanks for listening, and… ah… reading.